The onboarding process in many organizations involves weeks of orientation, busy work, and a good deal of wasted time. Companies that do not have a fun and efficient way of getting new employees up to speed quickly can experience high turnover, unhappy, disengaged workers, and a great deal of wasted resources. Studies show that 86 percent of new employees decide whether or not they will stay at a company within the first six months of starting their job. In addition, more than two-thirds of employees are more likely to stay with an organization for three or more years if they have a positive onboarding experience. This is significant because turnover is extremely costly. On average, between 16 percent and 50 percent of an employee’s annual income is required to get that person operational. So, organizations need to make the work experience positive from day one to increase the likelihood that the employee will remain with the company long term. The Axonify Microlearning Platform is designed to help new employees have a positive, efficient, effective, and fun onboarding experience. The platform distributes small, relevant pieces of information so that new employees can absorb a little more of their jobs every day without feeling overwhelmed. The content is tailored to address individual job needs so that all training is directly related to an employee’s daily responsibilities. Onboarding is the process that new employees must go through in order to become competent at their individual jobs. Presumably, you hire people who are qualified for their positions and have some experience with the work they are about to take on. However, every new position requires time to learn. The scope can be broad, including everything from corporate culture, daily operating procedures, customer and supplier relationships, and the nitty-gritty question of what to do when. Although those first few months of a new employee’s time at a company are critical, the reality is that onboarding should really never stop. When you improve onboarding and invest in employees’ growth, you’re improving your organization’s continuous betterment and professional development programs. Ongoing education and development are critical to your organization as well as your employees’ career satisfaction. 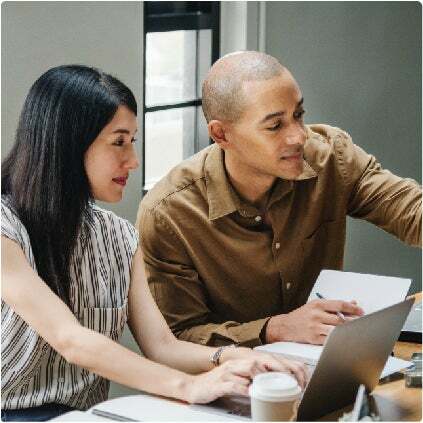 By offering relevant training content through a microlearning platform, you have the tools to constantly bring your team to the next level of performance and success that does not detract from their existing job responsibilities. In about three to five minutes per day, they can take training on their desktop, mobile phone, or other internet-connected device that is gamified for fun and allows them to learn something new every single day. What Are Ways to Make Onboarding Run Smoothly? Improve onboarding from day one. By incorporating the Axonify Microlearning Platform, you can begin delivering relevant lessons that are automatically personalized to each individual from the very first day. Our system records progress and can scale content difficulty depending on individual performance. That way, every employee can capitalize on their current strengths and work towards improving their weaknesses. 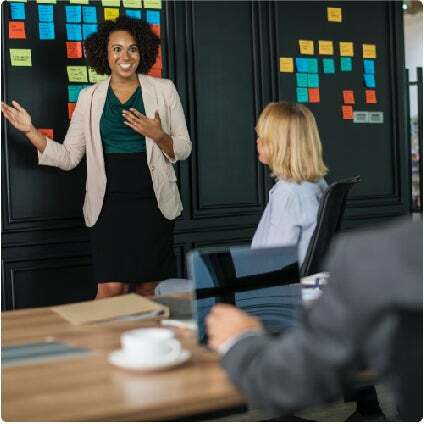 The system delivers key information in bite-sized chunks and repeats important information to ensure employees remember for the long term, rather than just in the moment. By holding each lesson to only a few minutes, delivering the information on an employee’s preferred device, and incorporating gamification techniques, Axonify is a welcomed addition to any employee’s workday. In fact, many customers say that more than 90 percent of their employees voluntarily participate in the company’s microlearning platform. And when employees want to participate, they learn more! Just contrast this approach with lengthy training courses that are delivered online through a learning management system and it’s clear to see why this method only bores employees to tears rather than inspires them to build their expertise.